The high complexity and nonlinearity of power systems, together with their almost continuously time-varying nature, have presented a big challenge for control engineers, for decades. The disadvantages of the linear controllers/models, such as being dependent on the operating condition, sensibility to the disturbance such as parametric variations or faults can be overcome by using appropriate nonlinear control techniques. Sliding-mode control technique has been extensively used when a robust control scheme is required. This chapter presents the transient stabilization with voltage regulation analysis of a synchronous power generator driven by steam turbine and connected to an infinite bus. The aim is to obtain high performance for the terminal voltage and the rotor speed simultaneously under a large sudden fault and a wide range of operating conditions. 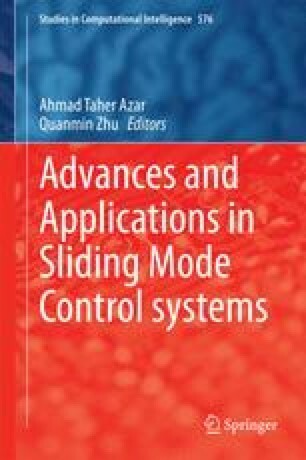 The methodology adopted is based on sliding mode control technique. First, a nonlinear sliding mode observer for the synchronous machine damper currents is proposed. Next, the control laws of the complete ninth order model of a power system, which takes into account the stator dynamics as well as the damper effects, are developed. They are shown to be asymptotically stable in the context of Lyapunov theory. Finally, the effectiveness of the proposed combined observer-controller for the transient stabilization and voltage regulation is demonstrated.